I am one of those people who is always cold, and in the cold weather I LOVE having some sort of fluffy scarf or shrug on at ALL times. I think I paid a whopping $5 for it and I had no idea what I would do with it. Honestly, I probably felt sorry for it laying around a booth with a sad $5 tag on it. Look at it, it is stupid! But it is so soft and I liked the color. So on Saturday morning I woke up with a plan! Mark helped me rein in all of my ideas and I started sewing, and I don't even know how to sew! But look what I managed to whip up, despite my lack of sewing skills!!! 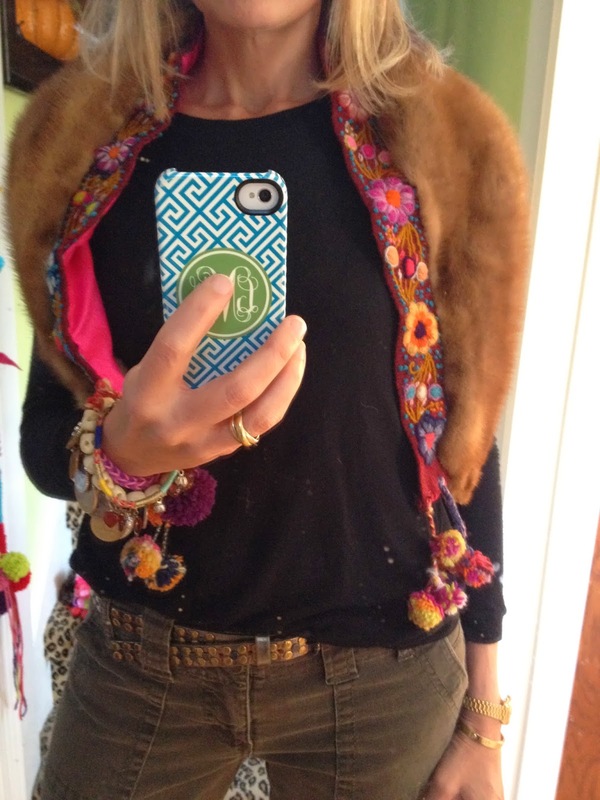 It is a little fur shrug…with POMPOMS! I sewed a belt that I bought in Argentina onto one side of it and then I lined the whole thing in hot pink fabric. The belt already had pompoms, but as you can imagine, I am busy making a few more to add to the mix. Honestly, it took me almost the entire day, because of the previously mentioned lack of sewing skills. And I didn't have any thread, but luckily I had embroidery floss. Same thing, right? I love it and it keeps my shoulders so toasty warm! Would you ever sew a belt to a piece of something fluffy and actually wear it out in public? That is a rhetorical question!!! PS. My stand on fur if you are interested... I am not usually a fan of fur, but I am a fan of recycling. 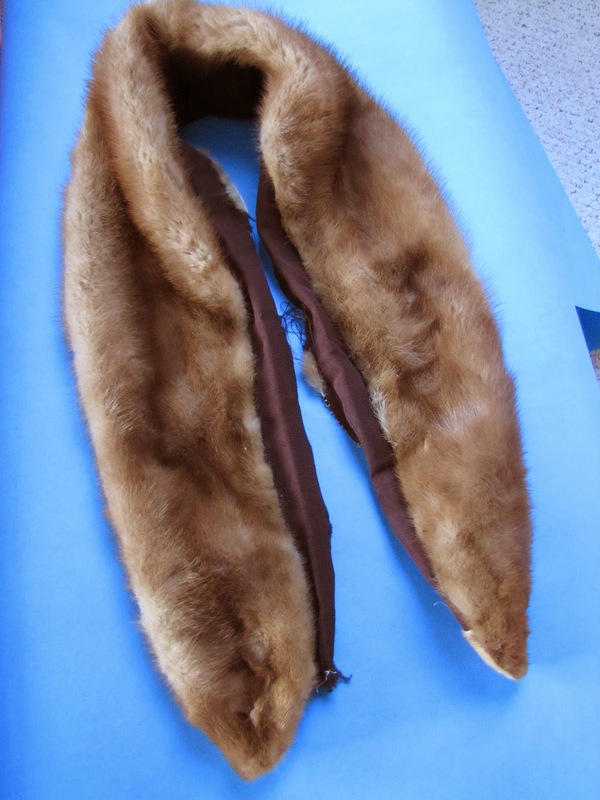 I would never buy fur that is new. I think it is mean, but this collar died a long time ago, and I felt sorry for it. I know I am a walking, talking contradiction, but I've gotta be me! I make no judgements about people who buy and wear fur, everyone gets to make their own decisions, and I am a BIG fan of that. WOW! That is fabulous. You're not fooling us with all of this "I don't know how to sew" stuff! Thanks Lissa! And ha ha, you should see the inside with the embroidery floss that does not match!! !